← Numbers 5 – Lepers cast out? Evidence that the Book of Mormon, while good to have, is not the essential thing that will convert mankind to its truthfulness, or to the person the Book of Mormon is bearing witness of: Jesus Christ as our Savior and Redeemer. All the wordprint studies, understanding of olive culture, or reading of chiasmus will not convert anyone to a life of following the Son of God. Only the Holy Ghost can do this. When we let the Holy Ghost into our hearts, God can work through us to experience a life we would not have known otherwise! The most compelling evidence for the truthfulness of the Book of Mormon is spiritual. The Book of Mormon has several evidences within its pages that give evidence to it being exactly what Joseph Smith purported it to be: an ancient record written by the inhabitants of the Americas. 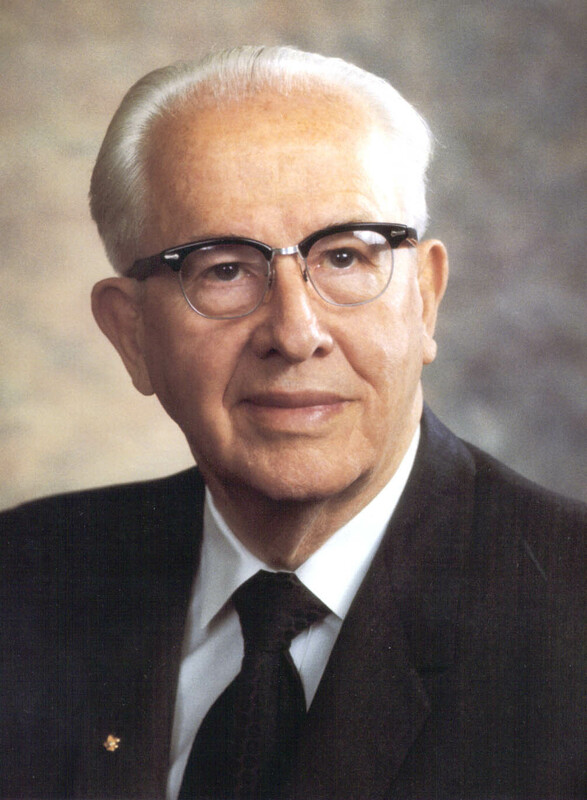 The April 1986 general conference, in which President Ezra Taft Benson was sustained as President of the Church, was a turning point for studying and applying the teachings of the Book of Mormon. 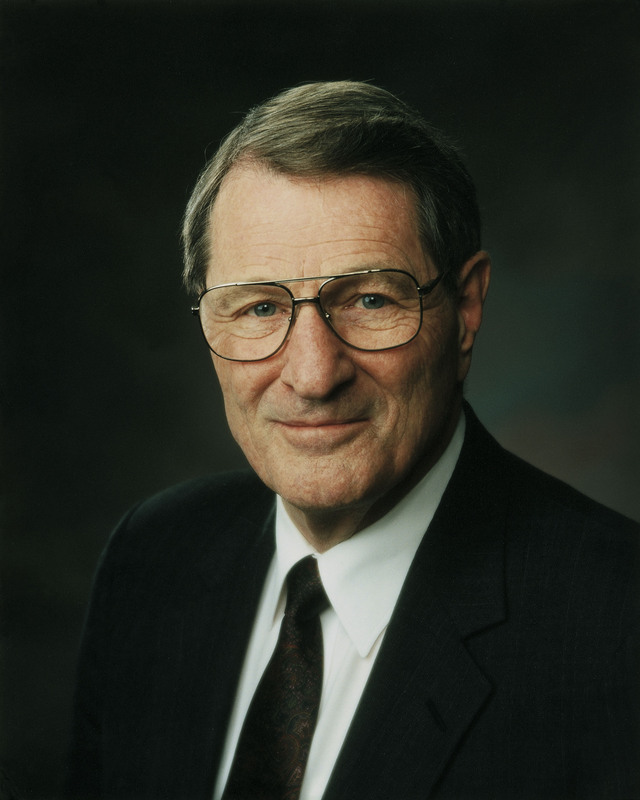 Citing Doctrine and Covenants D&C 84:54–57, President Benson said that the Church had neglected its charter scripture and that “now, in our day, the Lord has revealed the need to reemphasize the Book of Mormon.” He blessed the Saints with “increased understanding” of the book. I believe that in the last 25 years there has been an increased understanding of the Book of Mormon as an ancient text. Evidence has come to light which supports the claims made by the authors of the text. 1. The Time Allowed: Joseph possessed the plates – 1827 to 1829. Joseph possessed the plates for a very short period of time. Even if he had the luxury of working on the translation every day during this time, the translation would be miraculous. Add to this the time when he did not have the plates, times when he was laboring and could not translate, and times when he did not have an adequate scribe, and we are left with Joseph Smith translating the Book of Mormon in a compressed time period covering about 8.5 pages per day! 2. The Power of Witnesses: 11 other witnesses testified that they too had seen the plates. 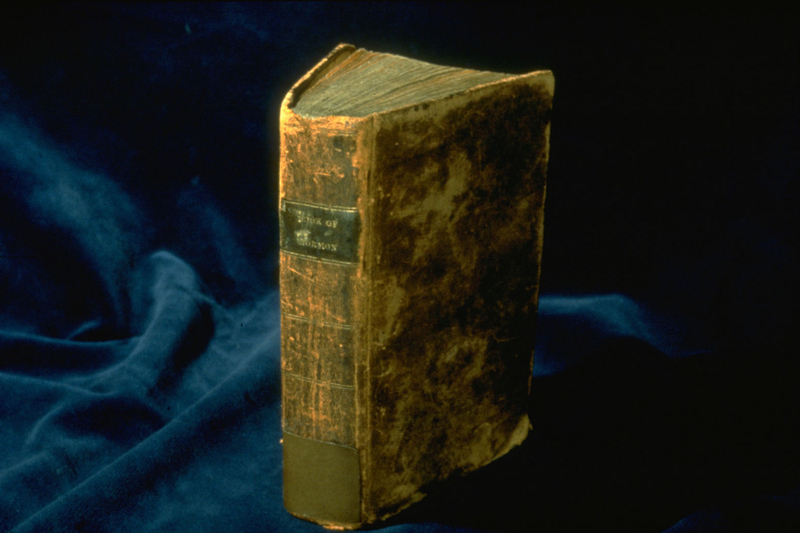 In any court of law, 11 independent witnesses testifying to the fact that they held the plates from which the Book of Mormon was translated has to be compelling. The fact that some of these individuals left the church yet never denied their testimony makes their testimony of the plates all the more compelling. Surely if they were participating in a fraud they would change their story once they left the church. This was not the case. 3. The History of Metal Plates: Writing religious texts on metal plates is now known to have occurred during the time of the Book of Mormon authors. 3. Lehi’s Travel Through Arabia: The Book of Mormon account of Lehi’s Arabian journey is remarkably accurate to numerous specific geographic conditions, but no scholar in the 19th century, let alone Joseph Smith, could have known of it. 1. The Ancient Monetary System: In its smallest details, the Book of Mormon reveals its roots in the ancient Near East. For example, the system of monetary exchange set out in Alma 11:3–19 recalls ancient Babylonian economic legislation. The parallels are striking. In order for ancient economies to work effectively, kings had to spell out the value of various commodities and establish exchange rates – especially between consumable goods and precious metals. Thus, the laws of Eshnunna were established in the early 18th century BC. These laws were not discovered until the 1950’s. There are several parallels between the Babylonian system and the Nephite system of rates of exchange. A) The legal form of the two systems is consistent. The standard phrasing “1 Kor of barley is (priced) at 1 shekel of silver” resembles that in the Book of Mormon where a senum of silver and a senine of gold were converted into grain values. B) The primary conversion in Babylon was between barley and silver. Nine other Babylonian provisions converted various additional commodities into silver values, followed by three more provisions that converted others into measure of barley. Thus, precious metal and grain measures were convertible into each other. The law of Mosiah featured precisely the same conversion capability: the basic measure for either gold or silver was equated with “a measure of barley” (Alma 11:17). C) In Babylonia the basic commodity valuation system allowed traders to deal in a variety of items, all convertible into silver or barley. Similarly, Mosiah’s system converted transactions from silver into “a measure of every kind of grain” (Alma 11:17). It is also worthy to note that coins were not invented until after Lehi left Jerusalem. Occasionally we draw fire from critics stating that the Book of Mormon mentions the use of coins, but this is not supported in the text. The chapter heading to Alma 11 mentioning coinage was added much later, after the Book of Mormon was translated by the prophet Joseph Smith. The actual text mentions weights – precious metals were used as an exchange. The text does not mention the metal being stamped or minted, which is what makes a coin. As far as we know, people in ancient America did not use coins. The Bible mentions weights being used by the people of ancient Israel, the most common of which was the shekel, which literally means “to weigh”. Lehi left just before the evolution of coinage in the ancient world, where in Anatolia, which is modern Turkey, the first coins were developed. The remains from this area show a combination of stamped metals with precious metals that were not stamped, indicating that perhaps there was an evolution of sorts in the acceptance of coins as a standard of currency. 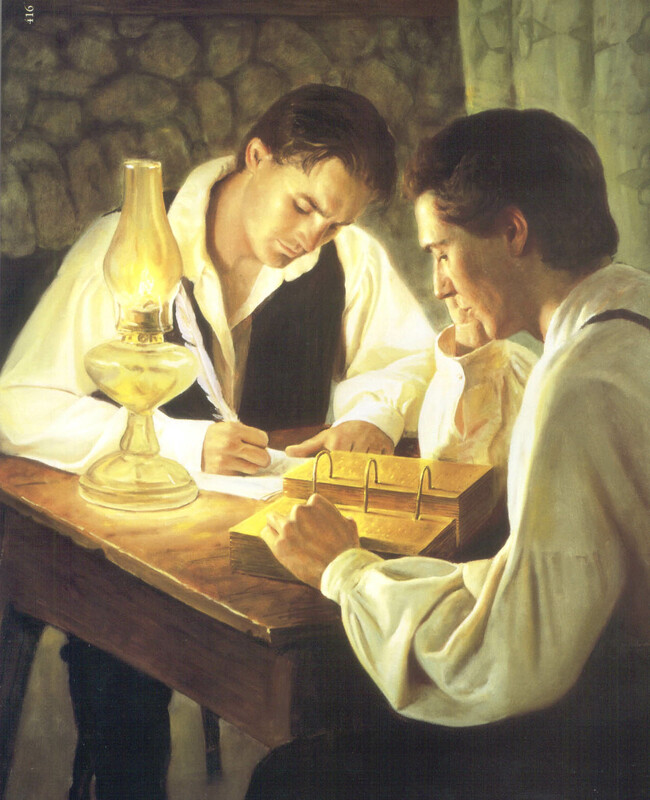 It is reasonable to suppose that if Joseph Smith were fabricating the Book of Mormon, that he would include a monetary system that would resemble something he was familiar with. Not only does this not happen, but he shows us a system of exchange right out of the ancient world that correlates with the evidence we now have. This passing mention of a monetary system in the Book of Mormon is another powerful evidence of it being an ancient work. 5. Moshia – Joseph Smith could not have known that the ancient Hebrew term moshia’ signifies a champion of justice against oppression, appointed by God, whose mission it is to liberate a chosen people from oppression, especially by nonviolent means. The term does not occur in the English of the King James Bible. But such nonviolent deliverance is a major theme of the book of Mosiah! Interestingly, the term môšia applies perfectly to the Mosiahs in the Book of Mormon. King Mosiah I was a God-appointed hero who delivered the chosen people of Nephi from serious wars and contentions by leading them in an escape from the land of Nephi (see Omni 1:12-14). It is unknown whether he was called Mosiah before he functioned as a môšiac of his people or whether he gained this well-earned title afterward, perhaps as a royal title, but either is possible. 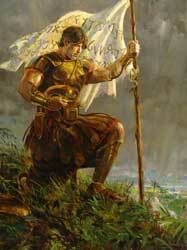 Indeed, the themes of God’s salvation and the deliverance of his people are strong in the book of Mosiah. It tells of one môšia after another. Abinadi was a non-violent deliverer whose words made it possible for the people to be delivered from their spiritual blindness. Although Abinadi was martyred, his words and example led to the people’s deliverance. Alma was a God-inspired môšia who peaceably saved his people from king Noah and the Lamanites. 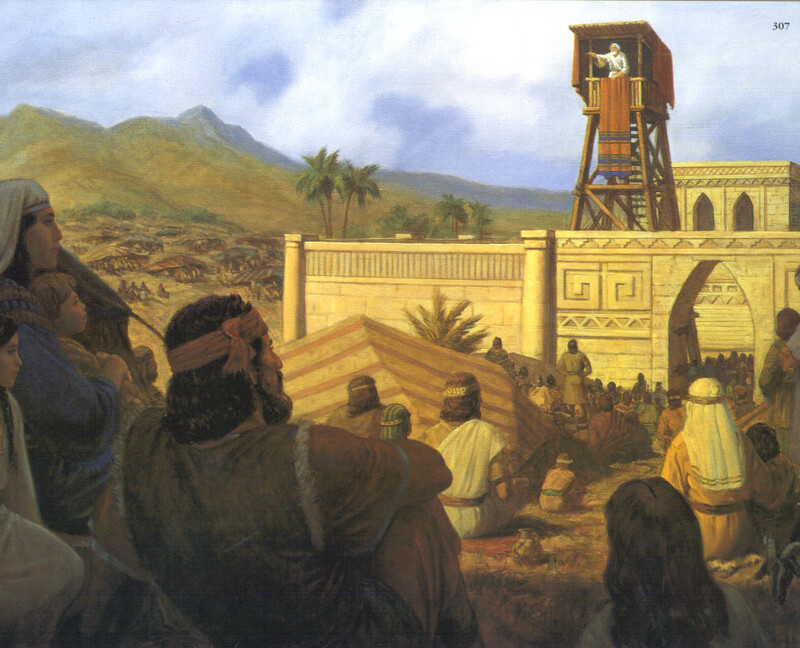 Zeniff tried to return to the land of Nephi to repossess the rightful property of the Nephites. His efforts failed, however, and his grandson Limhi eventually functioned as a môšia by leading his people in their escape back to Zarahemla. At the end of the book of Mosiah, the reign of judges was established, a fitting development for a people that had been well served by môšicim for over a century. Thus, the book of Mosiah, like the book of Judges in the Old Testament, appears to have been meaningfully named. What Was a Mosiah? Abinadi literally means “the messenger of the Father and the Son.” Ab (father)- Ben (son) Nadi (messenger). When reading his message, we come to the conclusion that his name fits his message. Nahom= to mourn, lament or to be sorry; Joseph Smith simply would not have known this in the late 1820s. 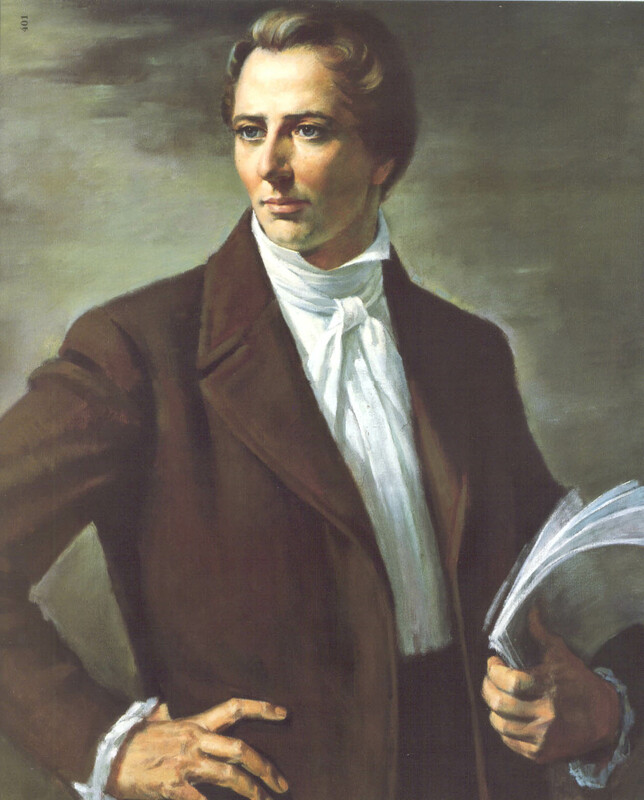 Alma– The appearance of the two men named Alma in the Book of Mormon has occasioned much comment from critics. They observe that Alma is a woman’s name and Latin rather than Hebrew. (Many recognize the phrase alma mater, which means “beneficent mother” and refers to the school from which someone has graduated.) They are correct, of course. If Joseph Smith knew the name Alma at all in the early 19th century, he would have known it as a woman’s name in Latin. Recently acquired evidence demonstrate that Alma also occurs as a Semitic masculine personal name in the ancient Near East—just as it does in the Book of Mormon. In many ancient societies a king received a new name or throne name when he was crowned king. Several Israelite kings had two names, a birth name and a throne name. It may be that all the kings of Judah received a new name when they came to the throne. During the Middle Kingdom (2000-1800 BC), each king of Egypt had no fewer than five names and received a throne name at the time he became king. Kings in Mesopatamia also received a new name. Each Parthian king (in ancient Iran) assumed the same throne name. Arsak, at his crowning, an act that has made it hard for historians to distinguish one ruler from another. Similarly, use of a single royal title marked the early Nephite kings. Jacob wrote, “the people having loved Nephi exceedingly… wherefore, the people were desirous to retain in remembrance his name. And whose should reign in his stead were called by the people, second Nephi, third Nephi, and so forth, according to the reigns of the kings; and thus they were called by the people, let them be of whatever name they would” (Jacob 1:10-11). 9. Olive Culture – The allegory of the olive tree in Jacob 5 shows a clear knowledge of olive cultivation far beyond what Joseph Smith, growing up in the American Northeast, could have possessed. 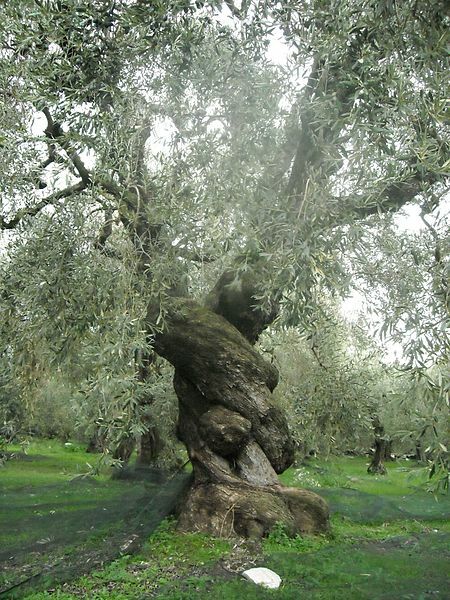 But it is entirely consistent, in impressive detail, with what we learn from ancient manuals on olive cultivation. Persons who choose to dismiss the Book of Mormon must find their own ideas for explaining it and the mounting evidence for its authenticity. And while we will never “prove” the Book of Mormon true by using intellectual arguments or secular evidence, the trajectory of the evidence strongly suggests that it is exactly what it claims to be, a book worthy of our deep study, reflection, and serious personal prayer. Thousands of hours of research have produced the current blossoming of Book of Mormon studies that bless the lives of Latter-day Saints. They cannot be lightly brushed aside. The power in Alma’s testimony is that not only can he say that he knows, but he says “let me tell you how I know”. I like Alma’s confrontation with Korihor in Alma 30. Does Korihor (or anyone for that matter) have proof that God doesn’t exist!? No! There is NO EVIDENCE that there is NO GOD. The same argument can be applied to the Book of Mormon. It cannot be disproved. People have tried, but work as they may, it will be impossible to disprove the facts put forth by Joseph Smith. Along these lines, the evidence put forth in this paper cannot in and of themselves “prove” that the Book of Mormon is true. Only the testimony born by the Spirit can do this. But the evidence put forth can foster a climate whereby belief can flourish. This environment is needed by some to take the initial steps of faith necessary to experiment on the words contained in the Book of Mormon. What can we as parents and teachers do? That is what I can do as a father, as a teacher – bear testimony of the truth that I know so that my children will have their minds aroused to enquire after God, making glorious discoveries and eternal certainty. I need to stir up their faith to feel after God, and what is the greatest catalyst to stir up faith? It is testimony. This in large measure is one of the greatest gifts I can give to my students and children. 1. Austin Farrer, “Grete Clerk,” in Light on C. S. Lewis, comp. Jocelyn Gibb (New York: Harcourt and Brace, 1965), 26. 2. The Power of Evidence in the Nurturing of Faith from Echoes and Evidences of the Book of Mormon by John Welch pp. 17–53. 3. Roberts, New Witnesses for God, 2:vii. 4. Parry, Peterson, and Welch, Echoes and Evidences of the Book of Mormon, p. 349. 5. 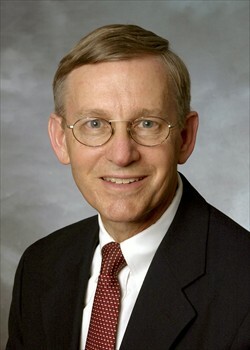 John Welch, BYU Studies , Vol. 10, No. 1, p.75. See also: What Does Chiasmus in the Book of Mormon Prove? Hugh Pinnock wrote an article entitled “Forms of Parallelism” which illustrates more examples than I have demonstrated on this post. 6. Joseph Smith, Lectures on Faith 2:56. This entry was posted in Book of Mormon, Evidences, Student questions and tagged Book of Mormon, evidences of the truthfulness of the Book of Mormon, FARMS, Neal A. Maxwell Institute for Religious Scholarship. Bookmark the permalink. I wanted to repost this as I am teaching Alma’s confrontation with Korihor. There is evidence that substantiates the claims of the Book of Mormon. While secular evidence will never prove the Book of Mormon to be true, it certainly will give us pause. Rational argument does not create belief, but it maintains a climate in which belief may flourish.